How can I set an image logo in place of the text logo? The commercial joomla 2.5 and 3.x templates contain a Logo type parameter, you have to set it to Graphic, and there is a template parameter where you can upload the logo image. Set the Logo height and Logo width parameters to the size of your logo image. How can I set the dropdown menu? 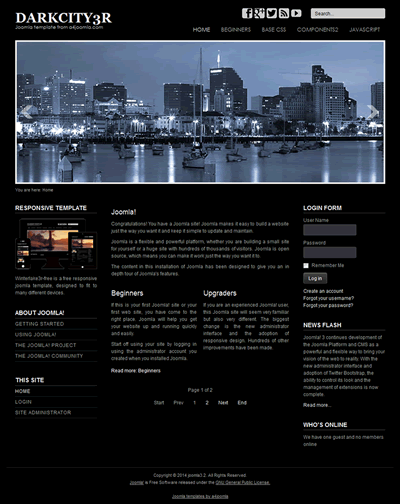 The commercial templates contain the option to set the horizontal topmenu as a dropdown menu. You can find the settings e.g. 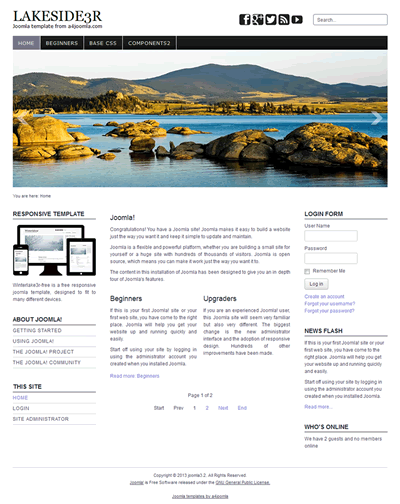 on your template's demo site. Licence for the commercial joomla templates? If you buy a commercial joomla template, you can modify it, you can remove the link from the footer, but you can use the original or modified template on maximum 3 domains. You can pay with your paypal account or credit card at the Paypal website after clicking on an "Add to cart" button and on the "Proceed to checkout" button in the "Shopping cart" module. You need to register and log in before or during the checkout process. At the end of the checkout process you will be redirected to the Paypal site. If you have a Paypal account, you will get access to the purchased template after a successful payment. If you do not have a Paypal account, you can still pay with credit card at the Paypal website, but we will send you the purchased template manually in an email.